*2 RL.4.2 Activity Centers - 1. 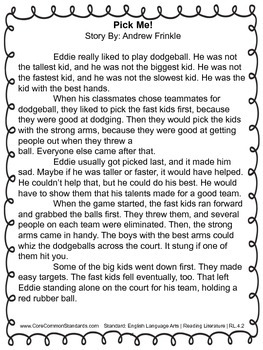 Read the story, "Pick Me! 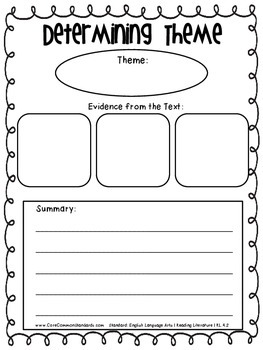 ", and determine the theme using evidence from the text. 2. 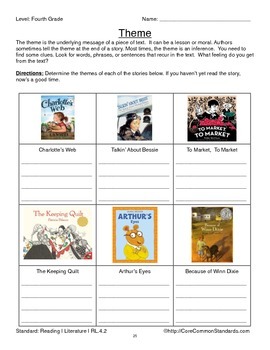 Choose a poem, a play, or a story. Fill in at least two of the cloud cards. Choose the ones that seem most fitting for the piece you read. 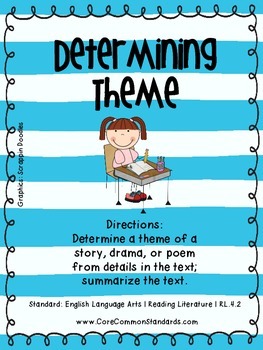 They will help you determine the themes. Blank cards have been provided for you to make your own questions, too. Share your findings with someone else who has read the same piece.